Wellness is everywhere these days. The resources, retail, and services are nearly impossible to miss. We hear all the time how important self-care is, but sometimes, it can feel more idealistic than realistic to actually achieve. It can be hard to balance an ever-changing work schedule, life responsibilities, and relationships with the proper time for ourselves. It shouldn’t feel like just another thing to do or schedule. As nurses, we often lack sufficient time to de-stress, unwind, and focus on caring for ourselves before expertly donning the many other hats we wear. And after long shifts, night shifts, or holidays on the job, the battle against burnout can feel constant.. But what even is wellness? According to the World Health Institute, it’s not just the absence of sickness or disease, it’s “a state of complete physical, mental, and social well-being.” Okay, so ‘complete’ may be a stretch, but you get the point. It’s enough sleep before and after a shift, passion about the work you do, time to invest in important relationships, energy to do not just what you have to, but what you want to, and finding stillness amongst it all. We know it’s easier said than done. So, we’re bringing to you our favorite people and brands that are moving the needle when it comes to thinking about and providing the things we need as nurses to give ourselves the care we deserve! Also, stay tuned because we’re giving away some of the best products to help you make the most of your wellness in 2019! Throughout her four-year career as a NICU nurse, Kylee Nelson’s had her fair share of burnouts. 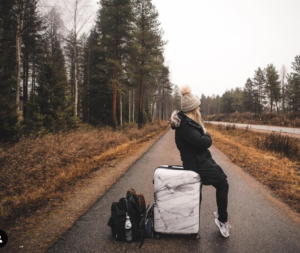 “There were times when I thought about giving up my dream job when it finally occurred to me: maybe I should focus on taking better care of myself outside of work.” Kylee turned to travel nursing as a release from working at the hospital. “It clears my head and gives me a sense of direction,” she said. Through social media, she inspires and connects with others, helping her recharge before heading back into the hospital. We don’t know about you, but we certainly don’t complain when a patient opts to use a diffuser in the hospital (especially if they go for lavender or eucalyptus). Swapping your scrubs for sweats and a glass of wine (or tea) may be enough to unwind, but you can take it even a few steps further with what Homedics has got: from foot massagers to sleek sound therapy machines, you can rest assured (pun intended) that you’ll be able to recharge after your latest long shift. 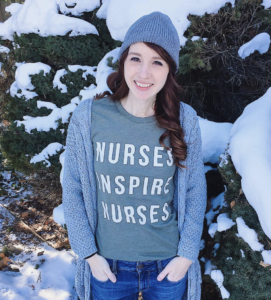 Anna found her passion project as a nurse blogger around two years into her nursing career after realizing how blindsided she and her fellow nurses were by their burnout experiences. “There are so many of us who don’t realize we’re burned out until we’re already happening and by then, sometimes we’re thinking of leaving the profession altogether!” Her blog, theburnoutbook.com, links nurses to tools and resources to help them manage stress, build resilience, and avoid burnout. Sticking to any kind of routine (but especially a fitness one) between shifts, sleep, and life in general isn’t easy, we know. While we can’t promise to be your accountability buddy (we’ll cheer you on from the sidelines, though! ), we’ve found an app that has it covered. Using Aaptiv, fitness experts will coach you through workout classes from yoga to half-marathon training to total body workouts, and they’ve got a seven day free trial to warm any cold feet! And before you ask: yes, there are a ton of beginner friendly workouts for all of you looking for New Years resolutions. 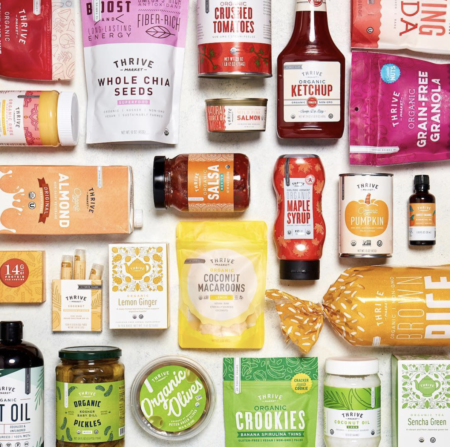 We all know the saying “you are what you eat”, but what if the things you should be eating get a bit too pricey?For those of us beyond walking distance of both healthy and affordable grocery options–or those of us just too busy to make the trek–there’s Thrive Market, a subscription service that delivers healthy, organic brands to your front door. The best part? You can even shop by dietary restrictions–no more wondering if that pasta is really gluten-free. What brands (or people!) do you rely on for your wellness? Let us know in the comments below or on social media! Interested in giving these brands a try? Check out our New Year’s Giveaway and start 2019 off right. Chelsea, an Ohio native, is a Medical-Surgical nurse who began her nursing career in Chicago and soon after became a travel nurse. Chelsea’s zest for life and adventure has brought her to Seattle, Denver, San Diego, San Francisco and Austin. She has developed a true passion for health and wellness and aims to be an inspiration for those around her. She uses her Instagram account, @healthy_withchelsea, as a platform to showcase her recipes, food photography, and her active, healthy lifestyle from city to city. She can’t wait to see where her enthusiasm for living a happy, healthy life will take her in the future!